RESOLVED, that the office of "Vice President, Apache Quetzalcoatl"
RESOLVED, that the Apache Quetzalcoatl PMC is hereby terminated. Philip M. Gollucci noted that infra has migrated off of this project. My sincere apologies to the board for missing the report deadline! mod_python bug report to the list, the first in many months. is. If the board has any opinions on it, do not hesitate to email the PMC. Greg has the action to ask Gregory to report again next month. We are getting conflicting input as to whether the project is going to the attic or not. Greg to inform the project that unless there is a new chair and monthly reports for three months that next months board agenda will have a resolution moving the project to the attic. issues is very very slow. Shane suggests that this project either update http://quetz.apache.org/ or move to the attic. Greg to pursue. and Jira issues is very very slow. Geir to get with the chair to determine if this is expected to improve or if the project should be moved to the attic. Henri suggested that if there is no visible Apache presence, this project should end up in the Attic. Aaron to follow up. Jira issues is very very slow. complicated it will be and whether it is at all technically possible. No report provided. Bertand to request a report. so in the near future we will start moving modpython.org's content there. Aaron to follow up on the implications of this project going dormant. Aaron to follow up on the missing website and appearance on the front page. mostly dormant, no new releases in the pipeline. Again not much to report. form of Jira issue INFRA-1355, hopefully it will be done soon. months the focus will shift to adapting to Python 3K. to report at this time. name on the board list was rather unhelpful and completely unproductive. 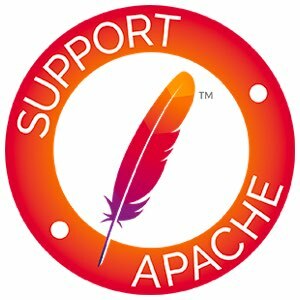 Board is unhappy with python.apache.org as a primary destination, but is OK with python.apache.org redirecting to the primary location. The root name for DNS, mailing lists, and the like may be any shortening of the name quetzalcoatl. RESOLVED, that the office of "Vice President, Quetzalcoatl"